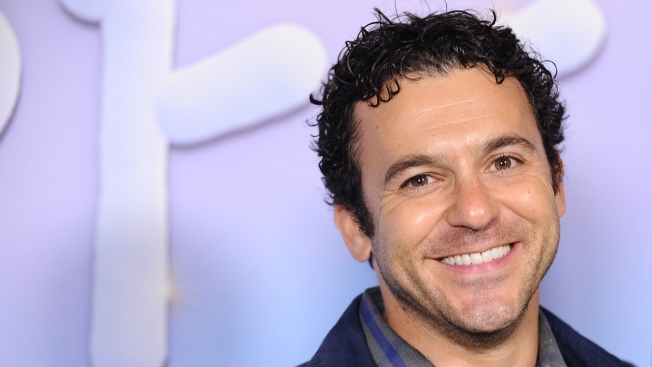 Savage, 41, best known for his work as a child actor on "The Wonder Years," issued a statement denying the allegations. A female crew member on the now-defunct Fox comedy series "The Grinder" sued actor Fred Savage and the network Wednesday, accusing Savage of harassment and intimidating behavior on the set, but both the actor and Fox insisted the allegations are unfounded. YoungJoo Hwang, who worked in the costume department on the show, which co-starred Rob Lowe, claims in her Los Angeles Superior Court lawsuit that she was subjected to a profane language and physical assault. Hwang contends other women on the show were also mistreated by Savage. "During her employment, plaintiff was subjected to an extremely hostile work environment at the hands of defendant Savage and supervisory employees of defendants Fox," according to the lawsuit. "Defendant Savage's aggressive behavior, intimidation and constant use of profanities aimed toward female employees was left unchecked by defendants Fox and ultimately culminated in a physical assault and battery committed by defendant Savage upon plaintiff." Appearing at a late-morning news conference with attorney Anahita Sedaghatfar, Hwang said she was motivated to come forward by the #MeToo movement in Hollywood against sexual harassment. She said Savage once hit her three times on an arm while she was brushing his clothing. She also claims Savage would use profane and abusive language toward her, and said he was also abusive toward other women on the set. She said her complaints with the network went unheeded. "My complaints were ignored and I was made to feel as if I had done something wrong, that I was to blame," Hwang said. "I asked to be moved to another show for my own safety and Mr. Savage continued to be on the show with no reprimand." "The accusations are completely without merit and absolutely untrue," Savage said in the statement, obtained by Deadline.com. "Fox conducted an extensive internal investigation into her claims, a process in which I fully participated. After conducting a thorough investigation, Fox determined that there was absolutely no evidence to support these accusations. None of her claims could be substantiated because they did not happen." Twentieth Century Fox, which is named as a defendant in the lawsuit, backed up Savage's assertion, saying the network investigated the allegations and determined they were unfounded, despite Hwang's claims to the contrary. "Fox takes all allegations of improper conduct very seriously," according to the network. "We conducted a thorough investigation into these allegations and found no evidence of any wrongdoing on the part of Mr. Savage. We will vigorously defend against these unfounded claims." When he was 16, Savage was targeted in a 1993 lawsuit by a costume designer who claimed Savage sexually harassed her on the "Wonder Years" set. That lawsuit was eventually settled. "Wonder Years" actress Alley Mills said in an interview earlier this year that she believes the lawsuit was the reason the show was canceled after six seasons. Mills said the allegations were "completely ridiculous," and called Savage "the least offensive, most wonderful, sweet human being that ever walked the face of the Earth."